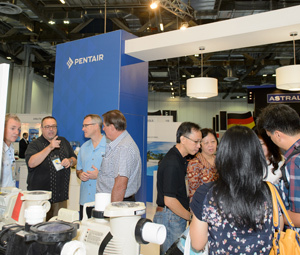 More than 100 brands represented by 60 companies from 13 countries will be on display, including market leaders Pentair, Fluidra Singapore, Procopi, Australian Innovative Systems, Haywards Industries, Maytronics, Teamhorner and Waterco. To assist visitors with planning their day at the show, buyers can now plan their route between exhibitors, using a new feature on the website, allowing for a seamless visitor experience. Piscine SPLASH! Asia is expected to attract buyers from more than 30 countries, including Singapore, Malaysia, Indonesia, India, Vietnam, Thailand, Sri Lanka, Philippines, Hong Kong, Australia, Cambodia, Myanmar and Bangladesh. 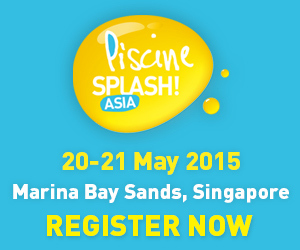 Visitors register online at piscinesplashasia.com or email info@piscinesplashasia.com for more information. Piscine SPLASH! Asia is the result of the association of two reputed pool and spa show organizers sharing the same strategy: offering the international pool and spa industry the opportunity to develop export markets and building strong connections with international big players and buyers. 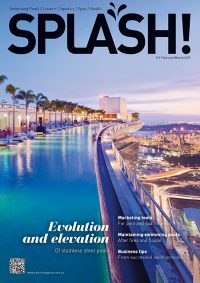 Piscine Global (international leader show with 1000 brands gathered every two years) and SPLASH! (award winning trade show in Australia and New Zealand for pool and spa professionals) have merged their respective expertise in order to provide the Asian market with the most important show for the professional pool and spa market. Respectively started in 1991 and 1998, Piscine and SPLASH! share a true international knowledge of the pool and spa industry and the same criteria for quality events. Piscine SPLASH! Asia is organized, in part, by GL events Exhibitions. Piscine Global positions itself as the world’s leading pool and spa show. For 32 years, it has gathered international major pool and spa equipment manufacturers and service providers. With 559 exhibitors and 16771 visitors in 2014, it is the world’s largest gathering for professionals. It takes place every 2 years in Lyon (France) – it will be held from 15th to 18st of November 2016. The exhibitors of Piscine Global, being of international groups, have requested in recent years an international gathering. Therefore Piscine has created 2 new shows since 2012. For the past ten years Interpoint Events has been organising events in four countries – Australia, New Zealand, Singapore and the USA. SPLASH! Pool & Spa Trade Show is held every two years on the Gold Coast, Australia – gathering more than 100 exhibitors and 2500 attendees the event is the largest of its kind in Australasia. In 2010 SPLASH! won the “Best Trade Show in Australia and New Zealand’. The trade show is supported by SPLASH! magazine and website. SPLASH! also has a pavilion in BuildNZ, 21-23 June 2015, Auckland, New Zealand.